View the entire table of contents for the May 15, 2002 issue. When we mainlanders think about American cuisine, we often forget our 50th state. But the Hawaiian cuisine movement that started in the late 1980s has reached a new level of sophistication. On a recent vacation to Hawaii, I ate four of the best meals I've had in the past year. 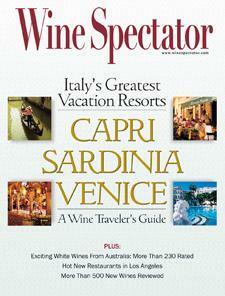 For the full article, check out the new issue of Wine Spectator, on newsstands May 15, 2002.